French premium carmaker DS has given the world a peek into the future, with their X E-Tense concept car which was unveiled last year. Posing as an asymmetrical, all-electric autonomous car, DS claims that the X E-Tense is how cars will be by 2035. The X E-Tense is powered by two Formula E electric motors, which gives it a combined power of 536BHP. The vehicle can go up to 1341BHP in circuit mode. This option is given to let the driver choose between a comfortable self-driven experience, or an intense, immersive driving experience. The highlight of the concept car is that it has a cockpit-like seating for the driver and a separate cabin for its three passengers. It is built on the basic principle of a Formula E car, with the motors in the front and the battery pack at the rear. The side-car like appearance differentiates it from standard electric vehicles, though there are certain limitations to the realisation of the car. One of the primary problems that the company is facing is the compliance of driver sides, as not all countries have left-hand drive. Also, because it has a 3D-printed grille instead of a conventional front bumper, localisation of parts, as well as frequent availability, will be an issue. 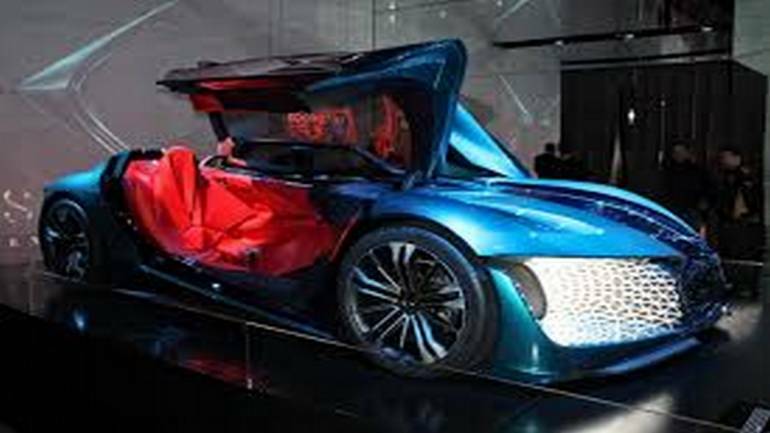 Nevertheless, prototypes of the futuristic car have already been spotted on the road, and DS seems serious about going ahead with the project. We will have to wait and watch what the future holds for us.